If you want the B-sides and instrumentals (Full Singles) I’ll add them to the full article. 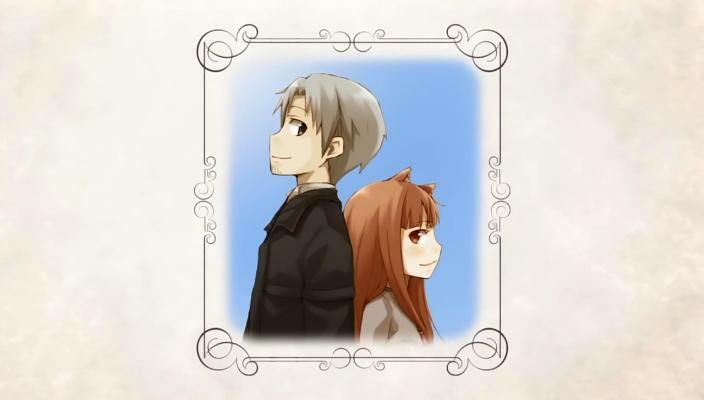 I’m bored so I’ve uploaded the mp3 rips of the OP and ED of Spice and Wolf. The opening is pretty good, if you like soft slow music. Just a girl singing softly to acoustic gutiar and violin. It also has that epic choir backup that’s pretty cool. But the ending I really like, it’s just a japanese girl singing a really cute song in english. I mean there are lyrics about apple eyes and sunshine pies, you can’t not like it. The piano is very simple too, and it just makes it even more cute. I just can’t help singing along to it. Even KaoSniper, who is watching kendo videos right now is sort of humming along to it.